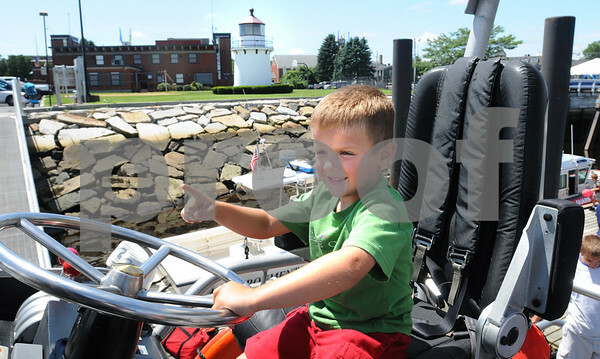 Newburyport: Shea Corkery, 4, of California and visiting his grandparents George and Virginia Corkery of Newburyport, checks out the steering wheel of one of the motor lifeboats at the US Coast Guard Station Merrimack. If he were to join the Coast Guard, he would be the fourth generation to do so in his family. Bryan Eaton/Staff Photo Newburyport News Thursday July 30, 2009.